If your little one gets bored during the summer then feel free to send them to the Death Star for a summer job. Hey, it’s never too early for them to start thinking about how to beef up their resume for college! 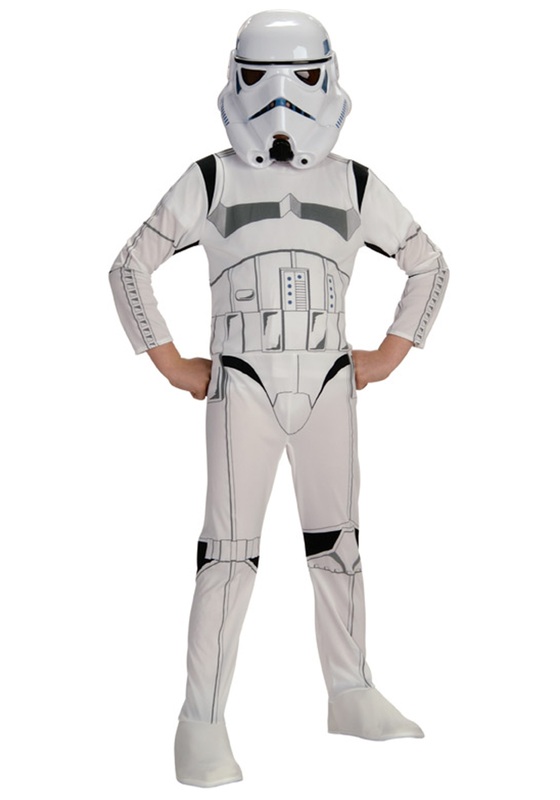 Now, when they first get aboard the space station your kiddo will be given a Child Stormtrooper Costume, just like this one! After that they will be trained in life on the Death Star, like where the trash compactor is and where to return lost mouse droids. There’s a big handbook they get there, but we decided to leave it off this version of the costume for the general public, as it is very dense and makes for burdensome trick-or-treating. Of course, there will also be extensive blaster training, and an awards ceremony for marksmanship. Once all that is done your kid will be set to become the youngest member of the Empire! Of course, if you aren’t quite ready to send your child away for the whole summer (or don’t want to risk the wrath of Darth Vader once school starts back up), this costume is still a perfectly fun way to pass the Halloween holiday. The white jumpsuit is printed to look like the classic Stormtrooper armor, and the half-mask looks just like the army’s intimidating helmets head on. Summer may the perfect time for team-building skills, but Halloween is the season to hone the skill of disguise!